On my opinion, the coolest job in Earth is watching the Earth from above. Yes I'm talking about astronauts. Maybe most of us can travel the world but fewer can travel in space and witness how beautiful earth can be. 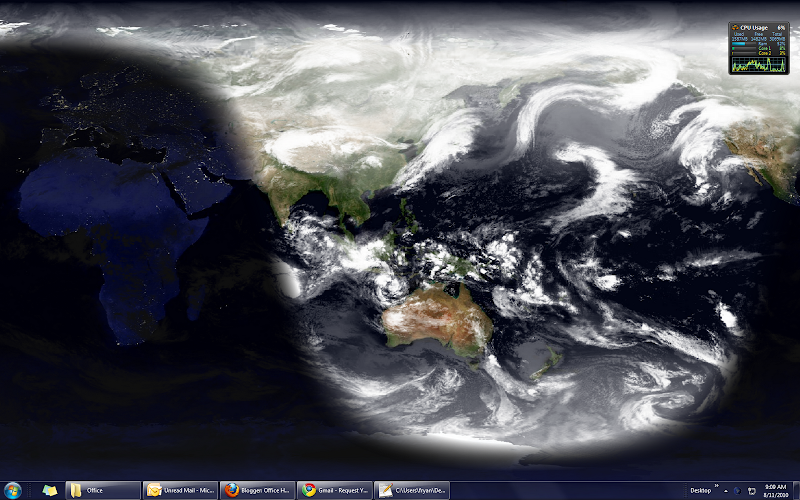 But still at least you can see earth on the ground through your computer with Desktop Earth. It is a wallpaper generator that can generate high-resolution, accurate representation of the Earth.